As tart as a zested lemon with a drop of musky peach and a greener than green galbanum note, Aliage is a perfume whose initial notes soar like high keys in a musical composition. Like Vent Vert in terms of its citrus brightness and galbanum piquancy, Aliage packs a punch. I am immediately in love and cannot take enough of this into my nose. As I type this, I am inhaling my wrists like a deranged junky. (So strange the way that perfume satisfies. Unlike food, which my body needs, I'm actually delaying dinner to write this review about something that I am getting pleasure from, but why? It is beautiful. That is all. And that is enough). Dove says there are "barely perceptible hesperidic notes," although I cannot imagine what he means: Aliage is fresh and citrusy for me from beginning to end. There's a backdrop of resiny pine, thyme, oakmoss, and vetiver, just to give it an unusual edge that speaks to the forest with its needles and leaves. And there's a shadow of musk just behind all these bright and fresh notes. But those citrusy notes, for me, are in the forefront. I agree with Dove that in spite of the peach note, "sweet" isn't the right word to describe Aliage, but there is a hint of ripe fruit from the peach that rounds out the sharp notes and mellows them out just almost subliminally. Citrusy, piney, and peachy (just barely) — Aliage is a thing of beauty. It's one of the few scents I fantasize about finding the cocktail equivalent of so I can drink it. Although it's still being made, I've heard the more modern formulation isn't the same. I'll have to smell for myself. Your review makes Aliage sound delicious! I would be interested to know what you think of the reformulation, which seemed to have been renamed Alliage. I bought some Alliage parfum and was sadly disappointed by a strange unpleasant note (kinda like stagnant water) underneath the initial freshness. I tried it out on friends and the bad note was stronger on some skins. Interestingly, some people couldn't detect the stagnant note even though I could smell it on them! I wish I knew what that ingredient was. I also wish it wasn't there in Alliage! I'm not sure what is up with the spelling of Aliage/Alliage. I think I read somewhere that the spelling might be different on the European market, where "alliage" is a word that means alloy? In any case, many fans have said that there's been a reformulation, which is no surprise. I think it's supposed to be more floral now, maybe because the greenness of the original was too much for some. (Or maybe the ingredients are cheaper in the reformulation?) In any case, I went on the Perfume Emporium perfume board and several people said it's definitely reformulated and Estee Lauder has acknowledged it http://www.perfumeemporium.com/review/Aliage/47788/2245 and http://www.perfumeemporium.com/review/Aliage/74050/2245. eBay always seems to have some original stuff floating around, but make sure the name is vertical rather than horizontal on the bottle. Get yourself a mini and try it out! Thanks for the tip about looking for the vertical name - I must hunt down another bottle to re-test! This scent gives me the most godawful headaches! My mother wore it sometimes and I'd complain my head was splitting: if I wasn't in her good graces she'd just smirk. Interesting, Mary! This is such a lovely and clean scent to me I can't imagine it giving someone a headache. Then again, I could see how someone might spray too much on, a sin I often commit. Maybe that's what it was? Thanks Le Nez. I'm going to have to do more research on this one. I'm pretty sure I got my information from Roja Dove's book The Essence of Perfume. (Not to say that he could not be wrong, or that I didn't misread it.) Could you tell me your source? Thanks! I love Aliage. I don't know where I got the money, but I splurged on some as a 17 year old in 1972. I bought it because I wanted to smell great on my summer school backpacking trip to the High Sierra in California. I knew that it was a sporty, outdoorsy fragrance. The smell conjured up all sorts of romantic ideas. Then, just before the trip, my dreamy fragrance was stolen right out of my high school gym locker! Grrr! Aliage was one of my mom's favorite and she was always kind enough to share it with me so it became one of my favorites in the mid 70s. I was probably the only kid in my elementary school wearing Aliage! "Quel dommage" (as they say in French) about the reformulation! No point in my testing it out at the Estee Lauder counter as I am sure to be disappointed. Thank you for the information about the bottle lettering! It helped me in an auction, and I now have a vintage bottle found via an estate sale. That said, Aliage, like my other favorite Aromatics Elixir, is a scent that friends either adore or absolutely detest on me. To be accurate, the testers were the new formulations at Macy's, and not my vintage versions that live in my Fridge. My untrained nose could only tell minor differences in the new formulations, but that perhaps Aliage is "sweeter", or at least less crisp. One friend thought it was too "musky" and "old" on me, whatever she might have meant. Since I first wore it in College back in the 1970's, lord knows if she un-intentionally meant that I'm getting pretty ancient. So glad you got Aliage, Nancy, and in your fridge no less! Bravo. It smells so crisp and timeless to me, it's hard to imagine anyone would think it smelled old. Oh, well, I think we perfumaniacs wear perfume for ourselves, anyway! I've been wearing Aliage since 1976 and I too have read comments that it isn't the same as it once was, that it has been chemically altered. I have a very keen sense of smell, yet I can not tell any difference in the formula since I started wearing it in High School. Maybe it's my nose, but it smells exactly the same as it has all along, to me anyway. I will write on here. as I had a bottle of Alliage given to me just yesterday. To my disappointment it is horrid now. Dont know what they have done to it... I can only smell a stale perfume smell with a little powdery backdrop... It is nothing like it used to smell, My daughter purchased it from Selfridges. it smells like it has been on the shop floor for 20 years. They do not tell you either that it has been reformulated.....nothing like the sporty fresh smell it is known for.. I experienced the vintage Aliage in the `70`, and I agree to everything you write about it. It was one of my favourite perfumes at that time. It was launched at the same time as Revlon`s "Charlie", but Aliage was so much classy and better. 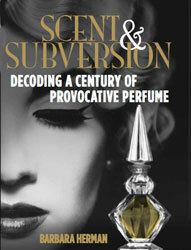 Estee Lauder`s remaking of Aliage Sports Fragrance (not able to buy in Europe)is "destroyd". I don`t know what is done to it, but the green, outdoor, forestlike and woody elegance, is turned into something very far from the original. In fact it smells very syntetic, and dries down to something harsh and sticky. I was so happy to find this perfume again, and was so disappointed when I opened it to smell it. It was nothing like the vintage Aliage, which was absoloutley exquisite. Get it on eBay if you can, Elin. (Type in vintage.) It holds up even now! You all are killing me. I have been giving this to my girlfriend/now wife for Christmas since the early 1970's. It has become harder to find, but I have always loved it. She just ran out of the sport Aliage and I found this location while trying to find a deal on another bottle. So sad to think the formula has been changed. Used to get it at Nordy's and Macy's. Hate to purchase more if it will not have the same aroma. What to do? I need aliage sporty parfum, does anyone knows where I can buy. Thank u .